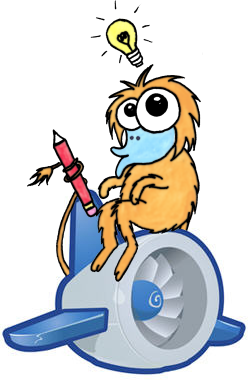 This is part of a series of articles on writing a blogging system on App Engine. An overview of what we're building is here. In the previous post, I promised I'd cover migrating comments in today's post. Unfortunately, doing so proved to be both more complicated and less interesting than anticipated, so I'm going to instead provide an overview of the required steps. If you're really determined to see all the nitty-gritty, you can examine the change yourself. We're finally going to tackle (at least part of) that big bugbear of blogging systems: Migrating from the old system to the new one. In this post, we'll cover the necessary pre-requisites, briefly cover the theory of importing from a blogging system hosted outside App Engine, then go over a practical example of migrating from Bloog (since that's what this blog is hosted on). Today we're going to tackle two separate issues: Support for commenting on posts, and support for search. Commenting is fairly straightforward, so we'll deal with that first. Adding tags to the model and the post/edit interface. Generating listing pages of posts with a given tag. Adding tags and links to the listing pages on individual posts. That's it. No, really. Thanks to our use of ModelForms, our admin interface now has support for adding and editing posts with tags. Try it, if you wish. One slight caveat: The interface expects tags to be separated by newlines, rather than by commas. That's something we could address with a custom widget, at a later stage. As you may have surmised from previous posts in the series, the 'static serving' approach we're using can lead to regenerating a lot of pages at once. For a long lived blog, with lots of history, regenerating the archive pages could take a significant amount of time - potentially long enough that we could run into the 30 second request deadline when updating or adding a post. Fortunately, however, we have something custom-made for the purpose: the Task Queue API. Using the Task Queue API, we can take care of the essential updates immediately - the post page itself, for example - then queue up other updates, such as the archive pages, on the task queue for later execution. Using the task queue has the extra advantage that updates can be executed in parallel. First, a couple of things of note. Between the last post and this one, I've snuck around behind your back and made a couple of minor changes. Don't worry, none of them are major. The most noticeable of these is that I've implemented a CSS design from the excellent site styleshout; our blog will now look halfway presentable. I've also refactored the existing admin code into a number of smaller modules; if you're browsing the source, you'll notice the code is now split between 'handlers.py' (the webapp.RequestHandlers), 'models.py' (the datastore models), and 'utils.py' (the utility functions such as those to generate content from templates). A couple of things didn't quite make it into part 2 of the series: Listing and editing posts in the admin interface. This post is a short 'interlude' between the main posts in the series, and briefly covers the changes needed for those features. This is the second in a series of articles on writing a blogging system on App Engine. An overview of what we're building is here. In this post, we'll be handling the most basic part of blogging: Submitting new posts. For this, we're going to have to create our admin interface - which will involve a fair bit of boilerplate - as well as templates for both the admin interface and the blog posts themselves. But first, we need to make a slight change to the static serving code. add() is a fairly straightforward transactional wrapper for set(), which first checks if a resource with the provided URL path already exists, and only creates it if it doesn't, returning None otherwise. This is the first in a series of articles on writing a blogging system on App Engine. An overview of what we're building is here. As promised, today we'll be covering the static serving component of our blog-to-be. First, though, is the naming issue. There were a lot of good names proposed by readers. Unfortunately, pretty much every one of them is taken on appspot.com. In the end, I settled on a name suggested to me out-of-band: 'bloggart'. My wife, who loves to draw, has kindly promised to draw me a picture of a boastful looking monster to act as a mascot. Win a Dell Netbook and $1000 of App Engine credit! Just a quick note: We recently announced a competition on the App Engine blog: Develop an App Engine app that uses Twilio, and you could win a Dell Netbook and $1000 of App Engine credit! Twilio is an excellent service that lets you write sophisticated telephony applications, entirely over HTTP.